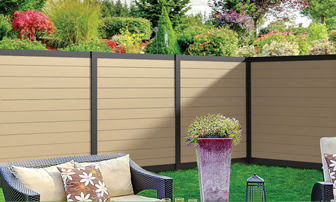 Whether you are looking for simple privacy or a more decorative option, AFSCO Fence & Deck has you covered. With access to multiple heights, styles and color options there's plenty of combinations to choose from. Create a comfortable, private living space for you and yours to enjoy. Easy assembly and superior material makes our privacy panels stand out.